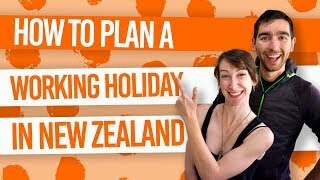 Things to do in Lower Hutt and Upper Hutt! Wellington’s story began in this lush valley and river landscapes of the Hutt Valley. It’s a place where the sun shines a little longer than Wellington city, so there’s more time in the day to all the amazing activities that the Hutt Valley has to offer. Discover the art and history of the Hutt Valley and explore this outdoor haven in the surrounding regional parks. We’ll go through all the highlights in this list of things to do in the Hutt Valley! From innovative cultural attractions like art galleries and museums, to bustling city streets with cafes and shops, to nature escapes and family-friendly experiences, if anything you’ll be overwhelmed the amount of things to do in Lower Hutt and Upper Hutt. 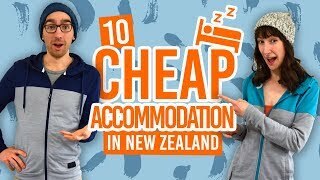 For more advice on planning you trip to the Hutt Valley, see Hutt Valley – Guide for Backpackers. The Hutt Valley is here to serve all you golfers out there (or non-golfers if you want to try out New Zealand’s most popular sport for yourself). There are are whopping nine golf courses and driving ranges in the Hutt Valley. See our top picks in 21 Best Golf Courses in New Zealand. Location: All around the Hutt Valley. The Remutaka Cycle Trail, 115km of grade 1-4 trail, begins/end in the Hutt Valley. Petone Wharf is the official start point, where riders can enjoy a cycle along the Hutt River along a disused railway line. The journey takes you through to Wairarapa’s vineyards and along the rugged Wairarapa Coast. Bike rentals and transport can be organised here. Location: Petone Wharf, Lower Hutt. Discover the stories of the early Te Ati Awa Maori tribes and the first European pioneers as they settled in the Wellington area. The stunning memorial building of the Petone Settlers Museum is situated in the amazing setting of the Wellington Harbour waterfront. What’s more, entry is free! Watch the master carvers and weavers at work, as well as their amazing Maori art displays at the Hetet Art Space in Waiwhetu. The small gallery is a great place to culture yourself! Throw on your elf ears and put on your Hobbit feet, because the Hutt Valley actually featured several times in The Lord of the Rings movies. Scenes from Rivendell, Helm’s Deep, Isengard and the River Anduin were all filmed in the area. Find the exact locations in our Guide to The Lord of the Rings in Wellington. Location: All over the Hutt Valley. Get a dose of contemporary art at the Dowse Art Museum in Lower Hutt. As one of the largest public art collections in New Zealand, you’re sure to be entertained for a while! Plus, free entry is always a bonus! See here for more free museums and art galleries around Wellington! Take a short and pleasant stroll to the romantic setting of the Birchville Dam in the Belmont Regional Park. It’s just a short drive up the Moonshine Valley in Upper Hutt. Location: End of Bridge Road, Moonshine Valley, Upper Hutt. Head to Petone’s Buick and Jackson Street to sample pure artesian water at Te Puna Wai Ora (The Spring of Life) and at The Dowse Square. Location: Corner of Buick and Jackson Street and The Dowse Square, Petone, Lower Hutt. Take an adventure-filled quad biking expedition along rugged coastline and to the hilltops of the Rimutaka Forest Park. The trip covers 20km of coastline and takes you 900m high in the hills of the Hutt Valley. If you’re a bit of a history nerd then you’ll love checking out Golder Cottage! Get an insight in how the early pioneers used to live in one of the oldest homes in Upper Hutt. Built in the 1876, the cottage holds displays of relics commonly found in New Zealand households throughout the 1800s. Location: 707 Fergusson Drive, Upper Hutt. Nature-lovers and families alike will love this animal and bird park in the Akatarawa Valley. See a wealth of animals from farmyard favourites to native birds as part of conservation programs. Get your Staglands Wildlife Reserve entry ticket here. Location: 2362 Akatarawa Road, Upper Hutt. 6 Hikes You Have to Do in Egmont National Park!